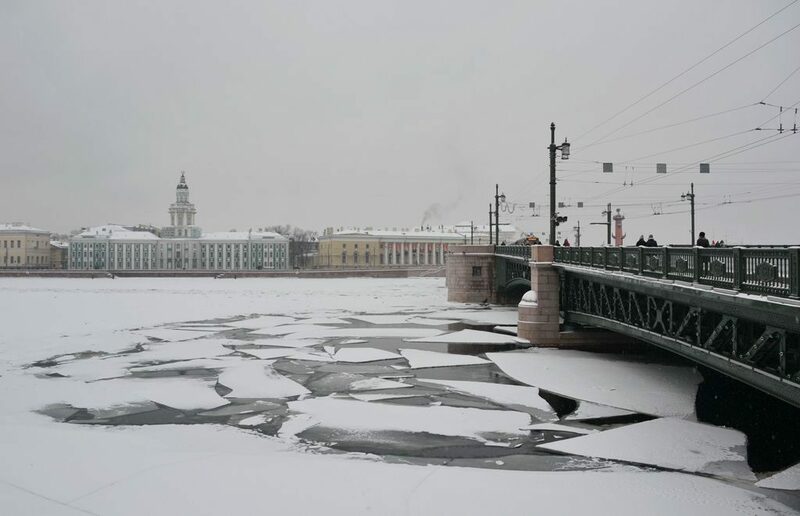 At least, two highly extreme motor trips on the rather thin ice of the city rivers and canals were recorded in St. Petersburg recently. Courage motorcyclists surprised even those residents who got accustomed to risky videos by extreme lovers, roofers and sportsmen. This year has seen a rather new trend with many people just walking on the ice of the cities rivers. Not that there is something radically new here, in the past even tram lines were organized on the Neva river in the winter due to lack of bridges, but the habit for ice walking had not been very popular. What is really new here is motor trips. A biker recorded a viral video of his extreme night trip along the Griboedov canal passing by the Savior on the Spilled Blood cathedral. In an interview with media, he said that had some fear, of course, but faced no problem during his spectacular ride. The reason behind this was just a mere wish for some extreme. Another motorcyclist was recorded pulling two girls behind him in the daytime. Well, is it safe or not? This year definitely not. The temperature has crossed the zero line in both directions (plus and minus zones) at least 50 times this winter, the cold temperatures have been seen just a few days, so no wonder the ice is rather thin. Though no accidents have been reported and we hope it will remain so. P.S. You can read about climate and weather In St. Petersburg here.